The box-office juggernaut that is the Marvel Cinematic Universe has long since surpassed the total grosses of any other big-screen franchise in cinematic history, and it’s hitting another unprecedented landmark with the release of Captain America: Civil War yielding absolutely superhuman returns around the planet: the $10 billion mark. 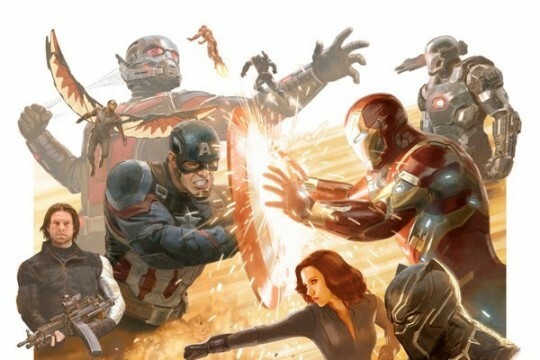 Civil War, bolstered by incredible word-of-mouth and a stuffed lineup of characters that makes the film as much of an Avengers sequel as Age of Ultron, is zeroing in on a $1 billion total gross (which is on its own enormously impressive, given how fast the pic has reached that cumulative haul), which has sent the franchise as a whole soaring past a grand total of $10 billion. That figure has put it way past Harry Potter, James Bond, and Star Wars within an eight-year stretch, a much more constrained time period than any of those other franchises were playing with. It’s no exaggeration to say that cinema has never experienced a genre boom this lucrative. With the MCU blasting forward into Phase Three with huge titles like Doctor Strange, Black Panther, Captain Marvel, and Infinity War Parts 1 & 2 all waiting in the wings, it’s hard to see anything putting a stop to the studio’s gargantuan returns. Of course, it’s hard to say whether anything will reach the breakout heights of the first Avengers, but even if the MCU never touches that again (Infinity War seems to have the best shot), it’s still going to be putting every other series out there to shame. Here’s a full listing of the grosses thus far, courtesy of Box Office Mojo.